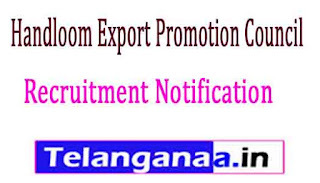 For Junior Export Promotion Officer - Graduate in Textiles from any recognized university with minimum 5 years experience in Textile Industry /institutions/sector OR Diploma in Textiles with minimum of 10 years experience in Textile sector. For Executive - Degree / Diploma in Textile / Handloom/ Fashion Design/ Design from any recognised institute. 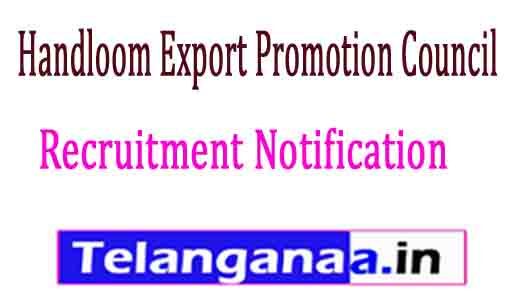 How to Apply -Interested candidates may apply with Resume send to Handloom Export Promotion council, Ministry of Textile, Government of India, 34, Cathedral Garden Road, Nungambakkam, Chennai-34 on or before 10.03.2017. Advance copy of the application may be sent by email to ed@hepcindia.com.